Heavy duty vehicles are prone to wear and tear by using genuine products you can minimize the heavy costs of repair and maintenance for your engine Sparex England is a world renowned manufacturer of a wide range of genuine parts of quality that will maximize performance. 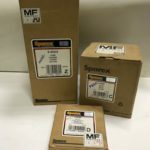 Farmparts Ltd stock a wide range of quality Sparex parts from engine parts to hydraulic and electric parts. For all your tractor needs Sparex is the key Farmparts Ltd is a distributor for Sparex products buy Sparex parts only at Farmparts Ltd and keep that tractor on the move at all times.